Puerto Morelos Blog: Exciting new listings at Playa Sol! Just in time for high season, we are excited to announce that we have three (3!) 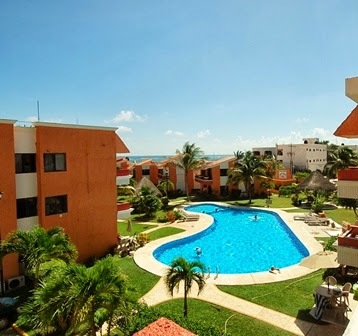 new listings in the desirable Playa Sol condominium complex. It's difficult, if not impossible to find ocean front homes in town under a million dollars, so we are thrilled to be able to list not one, but two ocean front Villas right in the heart of town, each for well under a million dollars! Villa 6 at Playa Sol is directly oceanfront, with panoramic, unobstructed ocean views from every room in the house and Villa 7, which is just adjacent to it, boasts amazing ocean views from almost every room in the house! 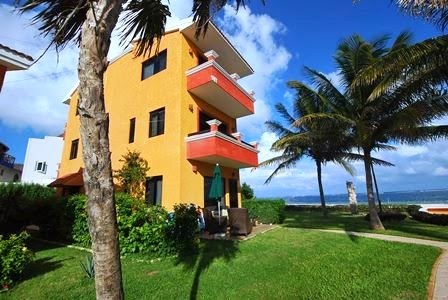 The condo is on the third floor overlooking the gorgeous pool area and ocean. Take a minute and check out the properties below and on our webpage!